AAA House Clearance in West Sussex, East Sussex, and Surrey. aaahouseclearances – AAA clearance, cleaning, decorating, gardening, removals, and a complete probate service. Welcome to AAA House Clearance. We cover all areas in Sussex & Surrey. As you browse our website, we hope to answer all of your questions. Every house, or office clearance is unique though, so we are always available, and ready to help, if you need to discuss the situation in hand. 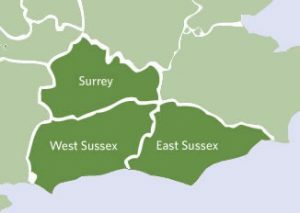 We are based across Sussex (in Horsham, Crawley, East Grinstead, Haywards Heath, Worthing, Brighton, and Pulborough,) and across Surrey (in Dorking, Guildford, Woking, Haselmere, Redhill, and Ceterham) allowing us to cover all areas of the two counties. We provide a range of services in addition to our residential and commercial clearances that will assist you in preparing the house or premises for sale or transfer. Such services include cleaning, probate valuations, removals, cutting of lawns and garden overgrowth, and decorating. 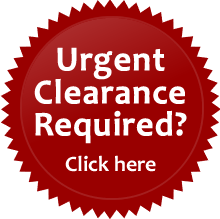 We do infact provide the most comprehensive range of clearance, and related services. We endeavour to provide the complete service; minimising the number of companies you are required to deal with; a flexible service, in that we can work to your exact requirements, and a caring service, so that we can guide you through the (sometimes emotional) process, gently and sensitively, feeling assured that your loved one’s effects will have continued use. We will provide the highest quality clearance service and tailor it to your specific needs. We can clear everything, from anywhere. 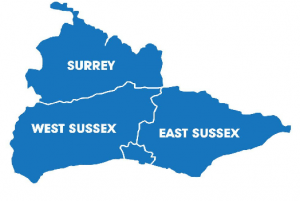 We cover all areas in Sussex and Surrey, and have offices across both counties. We sell, recycle, re-use, and where necessary, dispose of house/office contents. Post-clearance, we also offer cleaning, decorating gardening, and removal services – preparing the house in readiness for sale. We are available at all times to take your call. We offer a key collection service, and can take payments over the phone, for distance callers. We clear single items, hoarded properties, office complexes, and everything inbetween. 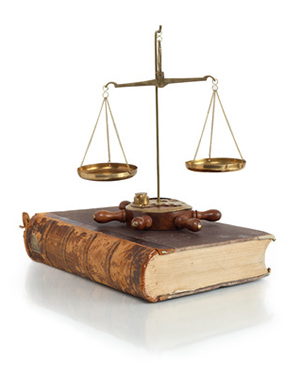 We are licensed and insured, and widely recommended by estate agents and solicitors. We relocate items of sentiment to relatives. AAA House clearance is fully insured – this protects you in the unlikely event of any damages. AAA house clearance is fully licensed to carry general household waste, office waste, and, hazardous waste – this protects you, in that our registration with the Environment Agency, grants us access to legal, commercial disposal sites, where rubbish and waste is dealt with responsibly – most of which is recycled. By using such a company, you are exercising your legal duty of care, and avoiding the potential, costly consequences, of using an unlicensed waste carrier. AAA House clearance is a trading name of Steele-Grey Enterprises Ltd.
We have offices based in Horsham, Pulborough, Crawley, Reigate, East Grinstead, Caterham, Haywards Heath, Brighton, Worthing, Dorking, Epsom, Woking, Haslemere, and Guildford. From these office locations, we cover our respective town, as well as neighbouring towns and villages. For large-scale commercial clearances, we usually pool our resources to achieve swift completion. The clearance service we provide is limited to Sussex and Surrey; we do however travel much farther afield if you will be using our removal service. Our Head Office address is AAA House Clearance, Old Holbrook, Horsham, West Sussex, RH12 4TW. Most written correspondence will be sent from this location. Our professional, yet caring approach has brought about our expansion across both counties. We will fulfill your clearance requirements, even under the most challenging of circumstances, for example, where there is an imminent deadline, or perhaps, where a compulsive hoarder needs to reduce their house contents, but is reluctant to do so, or, where there are tensions within the family, making the house clearance arrangements stressful and difficult to organise. We endeavour to pass house contents on to those in need wherever possible; we are actively engaged in recycling; and having cleared a house, we like to feel that the owner will, or would have, felt proud of it. If you are reading our website from distance or abroad, the house clearance can be arranged over the phone – we will be able to take care of everything. Often, the distance, along with work and family commitments, make it difficult to find the time to travel back and fourth, from a late relative’s house, or a rental property which tenants have neglected to clear, before leaving. 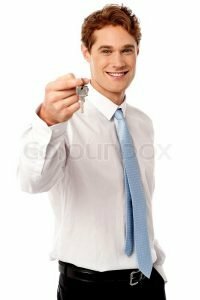 If you need to make clearance arrangements but lack the time to deal with things, we can collect the house keys from a third party, send quote confirmations and invoices by e-mail, and take payments over-the-phone. We can clear the entire house, or business premises, or just a part of it – it depends on your requirements. We clear furniture, rubbish, items that can be re-used or recycled, and, we clear items with high enough value, for re-sale. We will carry out the clearance of items, areas, and/or waste, from anywhere on the property including the house, garden, out-buildings, loft, cellar, garage, barn etc. In some houses there may be many years worth of accumulated hobbies, furniture, and clutter. It can be a time-consuming and emotional process trying to deal with the house contents, yourself, so we provide the service of boxing and bagging all items from surfaces, cupboards, drawers, and wardrobes. With all the smaller house contents removed, and distributed, we are able to clear the large items of furniture, and remove carpets and curtains, if required. After we have cleared all that you requested, you may wish to take advantage of our post-clearance services. Most recycling of non re-usable items, occurs at the commercial disposal site. This is where glass, paper, ceramics, wood, and plastics are recycled. We are, however, charged for recycling at these locations. Many re-usable items that we collect over the course of our work, are stored in our warehouses, for later distribution to communities of the third world. Your items will be donated to those in the greatest need; they will never be sold; rather ‘given,’ to those who have nothing. We very much like to give furniture an extended use if it is still fit for purpose, and we feel that this is often appreciated by our customers who find the clearance of a loved one’s effects, a little hard to witness – If there are items to be cleared that hold high enough value, we can place them through our sale for you. Just to let you know how very pleased I was, with the prompt service that you gave me at such short notice. In difficult circumstances, you were very professional and discreet, to ensure that everything went smoothly with both parties involved. You both worked very hard, and willingly put in the extra hours that were needed to get the job done. I was always kept in touch by telephone regarding the process of the work. I will definately by using AAA agaian in the future, and would certainly consider your removal services if I move house as intended this year. A very big thank you for all your hard work, it was so nice to find people who are polite, do the job so well and leave the customer very satisfied. This company is a breath of fresh air. Thoroughly reliable and they do an excelent and professional job. We have no hesitation in recommending them. I consent to the collection and processing of the personal data contained in this form, for the purposes of communication about this enquiry. Amberley, Arundel, Barnham, Bognor Regis, Burgess Hill, Chichester, Crawley East Grinstead, Gatwick, Haywards Heath, Horsham, Lancing, Lindfield, Littlehampton, Midhurst, Petworth, Selsey, Shoreham-by-Sea, Southbourne, West Wittering, Westbourne, Woodmancote, Worthing, Yapton. Battle, Bexhill-on-Sea, Brighton, Crowborough, Crawley, Eastbourne, Fletching, Hailsham, Hastings, Horsham, Hove, Hurst Green, Lewes, Newhaven, Ninfield, Peacehaven, Plumpton Green, Rye, Seaford, Sedlescombe, Wadhurst. Addlestone, Ashtead, Bletchingley, Camberley, Capel, Caterham Valley, Chertsey, Cobham, Coulsdon, Dorking, East Horsley, East Molesey, Egham, Englefield Green, Epsom, Esher, Farnham, Frimley, Frimley Green, Godalming, Great Bookham, Guildford, Haslemere, Horley, Lightwater, Lingfield, Morden, Oxted, Purley, Redhill, Reigate, Selsdon, Smallfield, Staines, Stoneleigh, Surbiton, Sutton, Tatsfield, Wallington, West Byfleet, Weybridge, Windlesham, Woking, Worcester Park, Horsham, Crawley, Gatwick, East Grinstead, Haywards Heath, Dorking. Epsom, Redhill, Reigate, Brighton, Worthing.